Firstly, I have to say I’m not the kind of person who spends hundreds of pounds on gems, my dad lets me get the cheapest choice once a month (he also plays Clash of Clans). Then I wondered what would be the best way to use the gems. I searched on the internet and found a great website, VK’s Journey in Clash of Clans. It has all the stats of how to best use gems and showed how some uses of gems seem better at first but are actually a big loss compared to others. It shows that boosting barracks isn’t as good as just skipping training as you have to still wait for boosting, also, boosting mines and collectors is a huge amount worse than buying gold and elixir. It actually takes 6 hours and it doesn’t get as much resources. Personally, I don’t care about trophies but I need lots of resources, I am going for hogriders (which cost 1.5 million elixir) and I need to use gold for upgrading my defences. 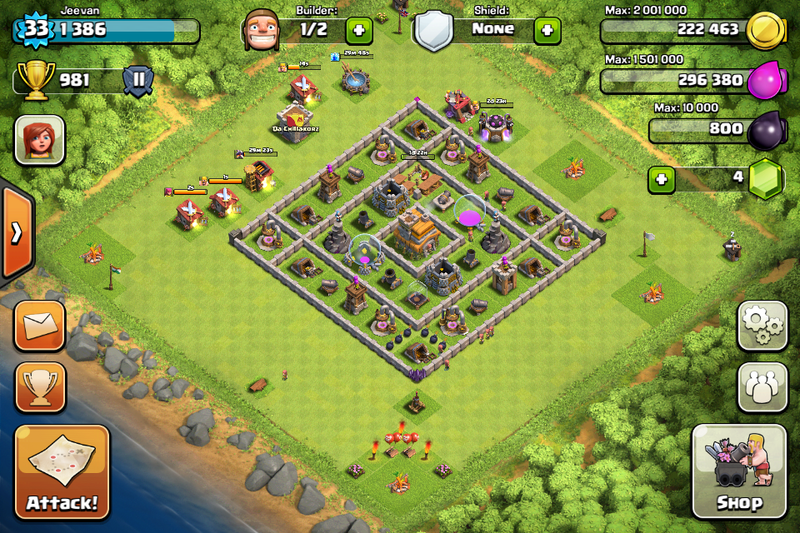 You need to keep only defences, resources and your clan castle (depending on how much your clan donates) in your wall if you are farming (not caring about trophies and leaving your town hall outside). If you are not farming you also need your town hall inside the wall. This will mean you won’t lose too many trophies. As you can see my town hall is outside and my resource stores are very well walled in with lots of defences around them. Now I should be able to increase my elixir to 1.5 million quite easily. I was once tempted to do cheats for Clash of Clans but my dad told me not to because they could have viruses on them. So to teach me he decided to make a virtual machine. In there I could test out as many programs I wanted to and from which the virus wouldn’t be able to escape. I then looked through probably the top 50 hacks and all of them required you to do a survey or a subscription. To do the survey you had to put your details in so I put fake details in and a fake email address I created. Even when I did do the survey it didn’t work so I tried another one, and another one, and so on. The subscription ones required money so I didn’t do those. Then my dad told me that to cheat on Clash of Clans you need to be able to hack the Supercell servers and if somebody had done this then it wouldn’t be long before the company closed them down again. However, if you have a jail broken phone you can give yourself free gems but you’ll probably banned from Clash of Clans. In conclusion, you shouldn’t try to get hacks from the internet because they can cost you money, waste your time or put a virus on your computer or device and that device will be useless unless you have professional help (from an expert like me). In Clash of Clans I have a few tactics I always use defensively and offensively. At the moment I like to attack with 60 archers, 60 barbarians and 1 dragon, I do have minions but I find them useless. 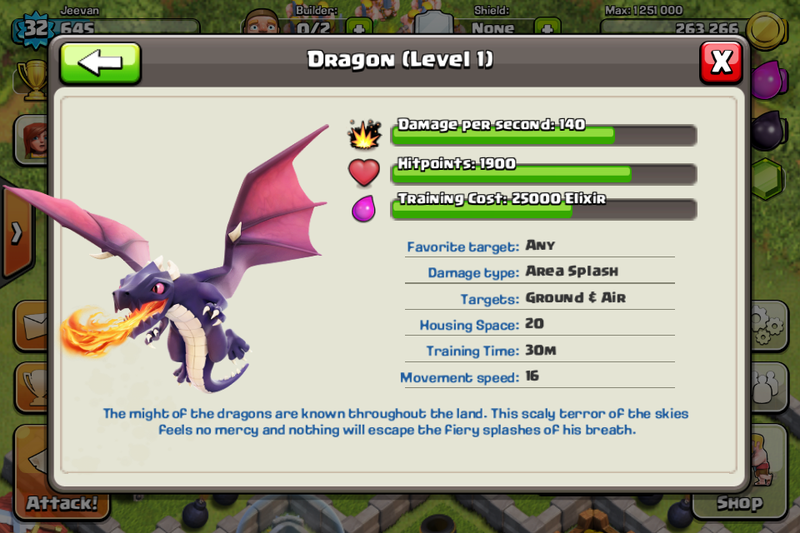 The most successful attack I do is 3 dragons, 40 archers and 40 barbarians, just this takes ages to train and costs a lot of elixir to train. The most important building is your Town Hall, so I have put it in the centre with a wall around it. 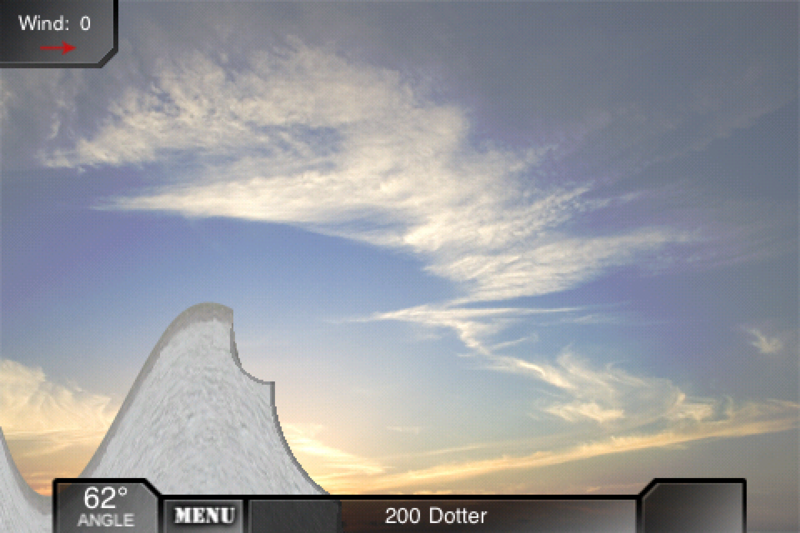 Then I have placed defences that cause splash damage near the Town Hall (this is mortars and wizard towers). I also have a hidden Tesla and a cannon nearby. The other 4 cannons are in the outer ring along with archer towers. I have placed less important buildings like army camps, barracks, builder’s huts, etc in the furthest corners as this will slow down raiders. Barbarians are the cheapest troops and they are great for distracting defences, also they are good in big groups. 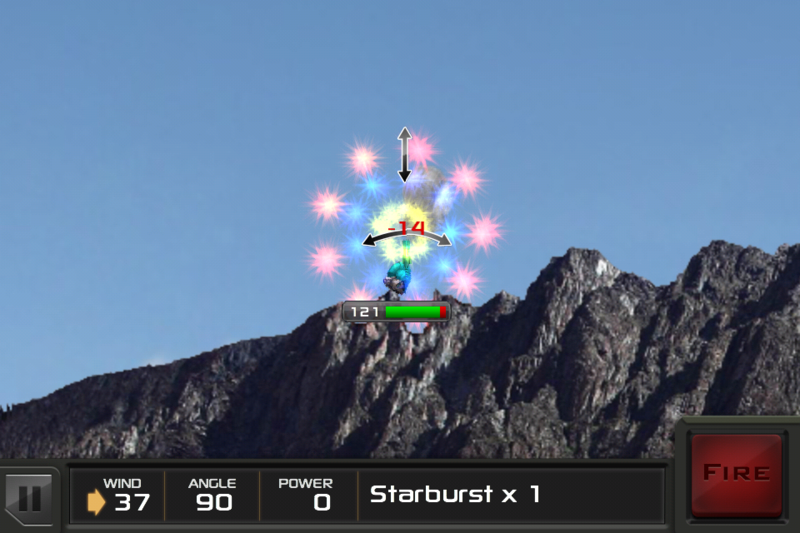 Archers are good for long-range attacks and are useful for getting just outside of defences’ ranges. Sadly they are weak. 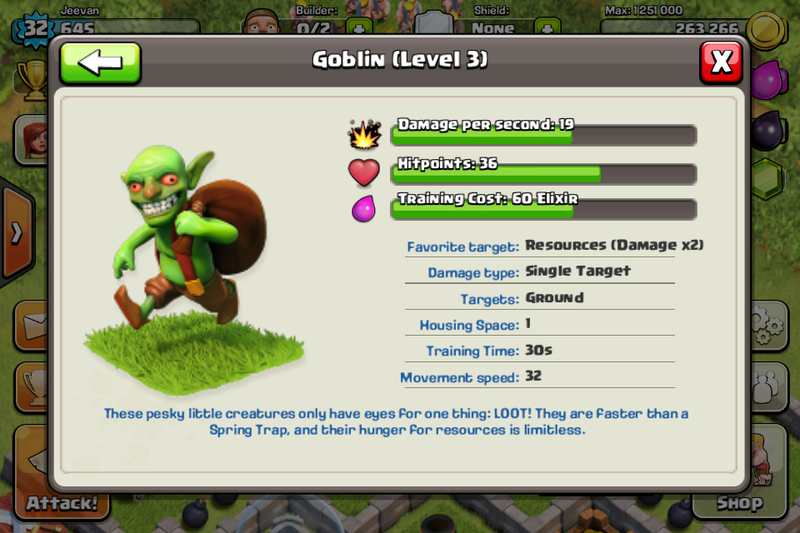 Goblins are great for taking loot but are quite weak. Giants are good for taking a lot of damage but don’t do much damage and take up 5 housing space. Wall Breakers are good for destroying walls but die in the process. Balloons are good for destroying defences but can be killed easily with air defences. Wizards are like archers but they take up 4 housing space. Healers heal other ground troops when they are damaged. At the moment dragons are my favourite troops as they are the best I have, they are great for destroying buildings quickly. Pekkas are amazing at destroying buildings but are expensive and take ages to train. Personally, I don’t like minions because they die quite quickly. 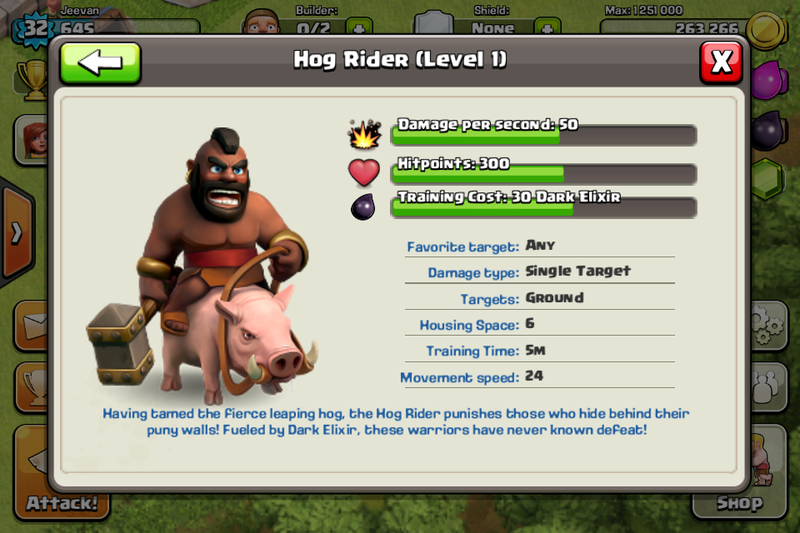 I have never had Hog Riders but they seem to be very good as walls don’t affect them. I have seen a video with an attack with 30 valkyries and they are really good. 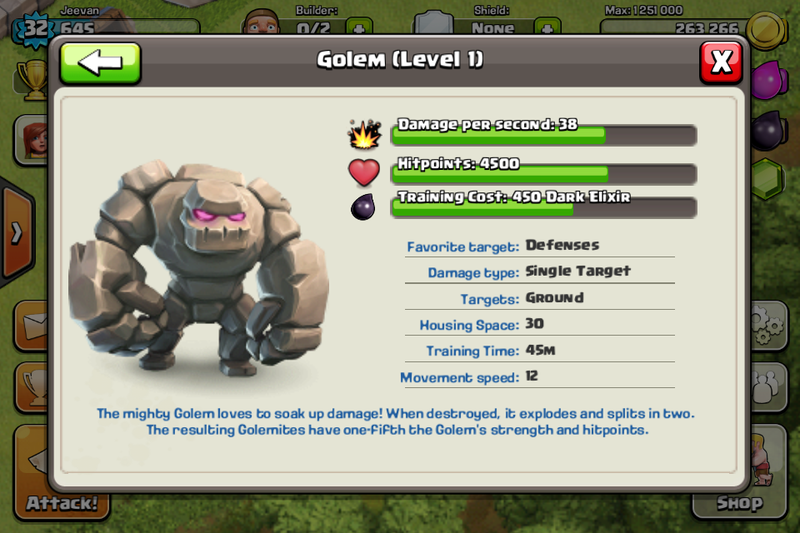 I have seen a video with golems as well and they survive for ages, the only problem is their damage per second is only a bit better than balloons. 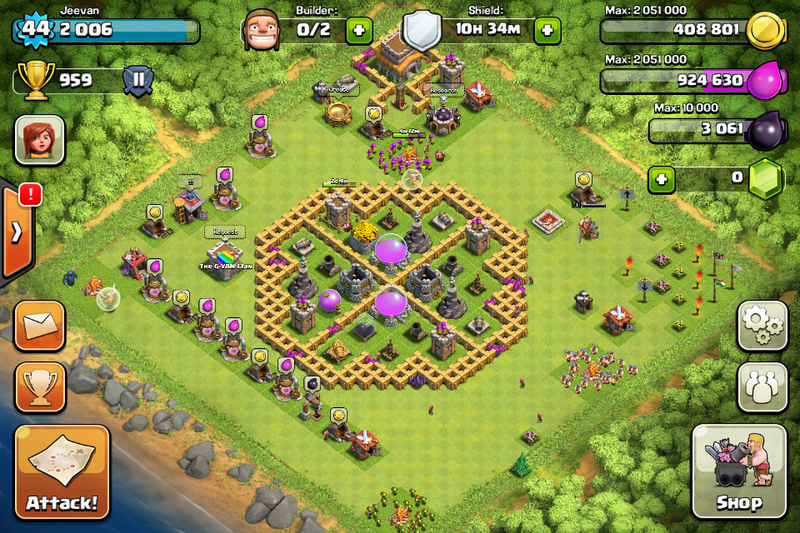 What is ‘Clash of Clans’? Clash of Clans is a MMORPG (Massively Multiplayer Online Role-Playing Game). Clash of Clans was made by Supercell (a Finnish company) – the same place as Rovio (creators of ‘Angry Birds’). 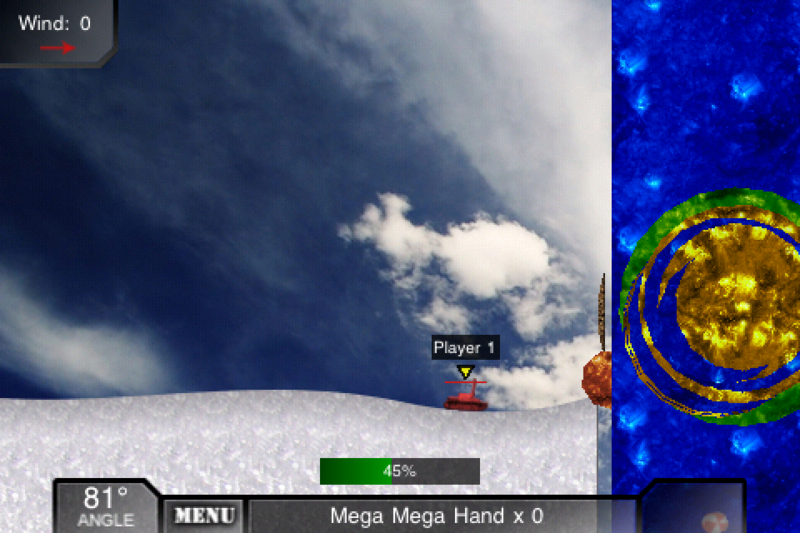 It is only available on iOS devices at the moment. It is a game where you create your own village and use gold and elixir to buy upgrades, new buildings, defences, gold mines and elixir collectors. You can buy gems with real money to buy extra builder’s huts, extra resources and skip upgrades and buildings being created. 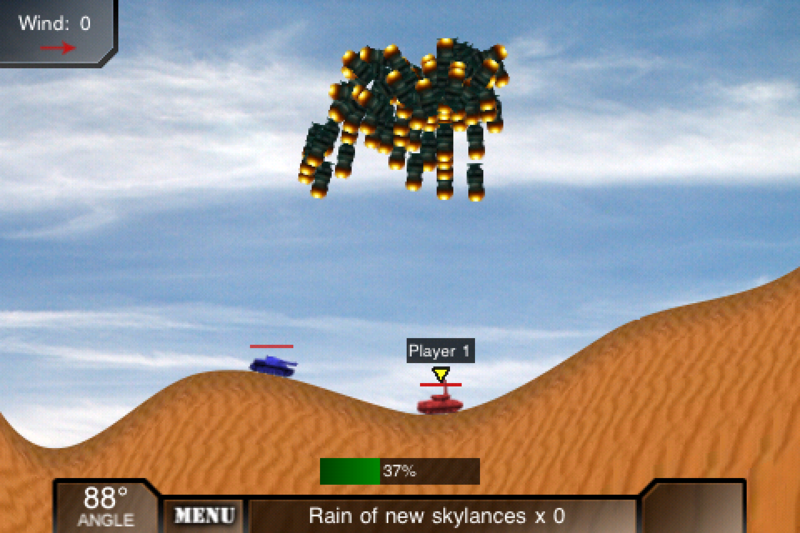 You can attack other villages with your specially selected trained troops. This is the easiest way to get loot quickly. You can also attack goblins in single player mode to get loot but you don’t get much. In Clash of Clans, you can build the clan castle to make a clan with other people and you can chat with your clanmates. 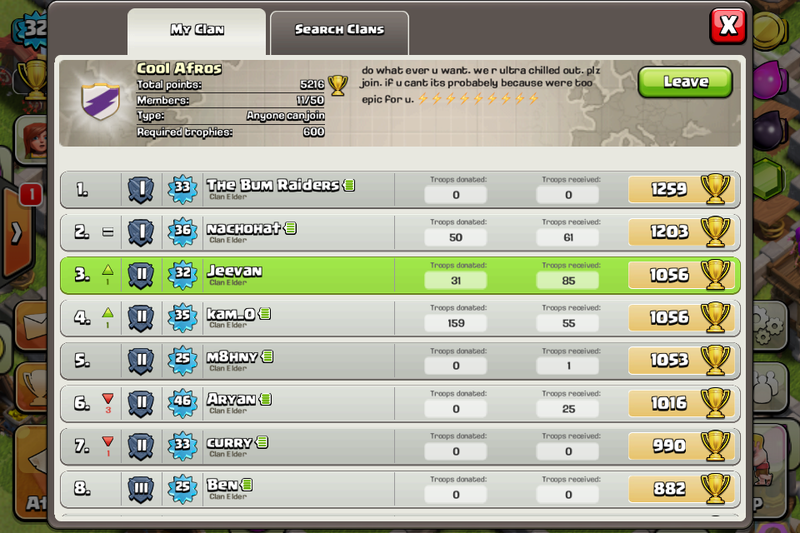 You should join my clan, anyone with 600 trophies or more is welcome, it’s called ‘The Cool Afros’ (I didn’t think of the name). 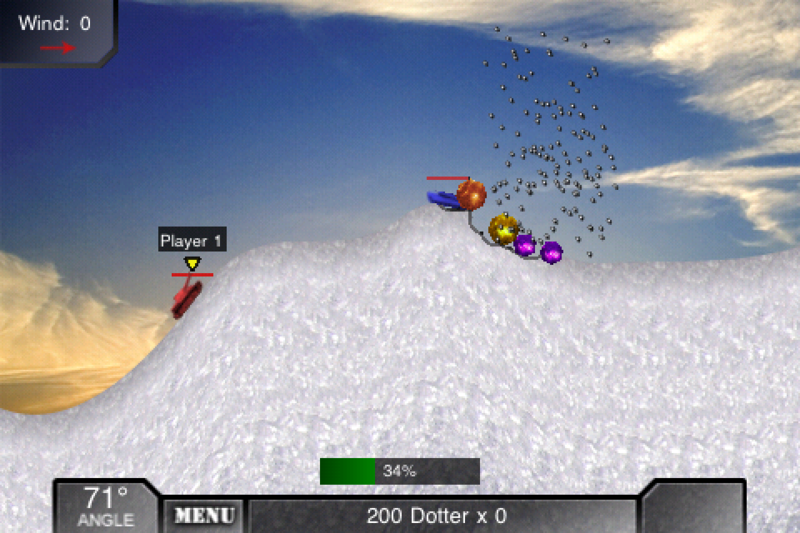 Now we have got iShoot 2 as soon as it was released. So my dad has it and I have it on my iPod Touch. It is really good. You can choose different tanks that have different stats. 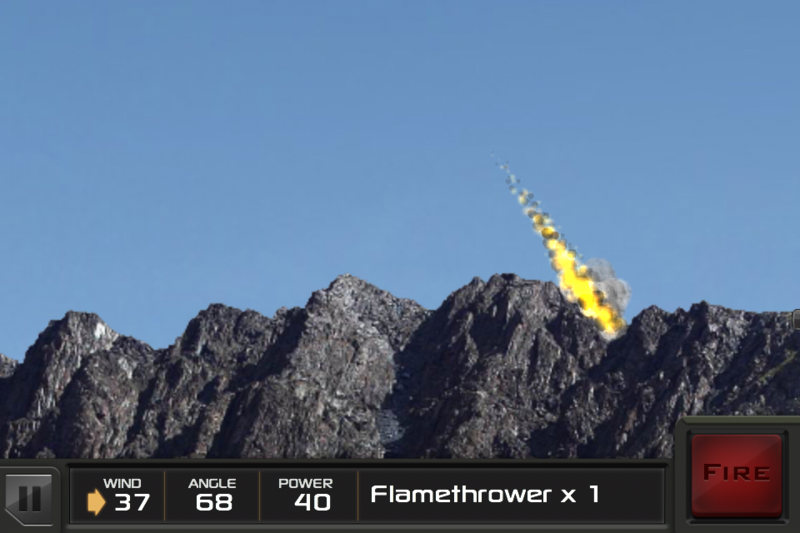 I have edited some of the weapons as well. 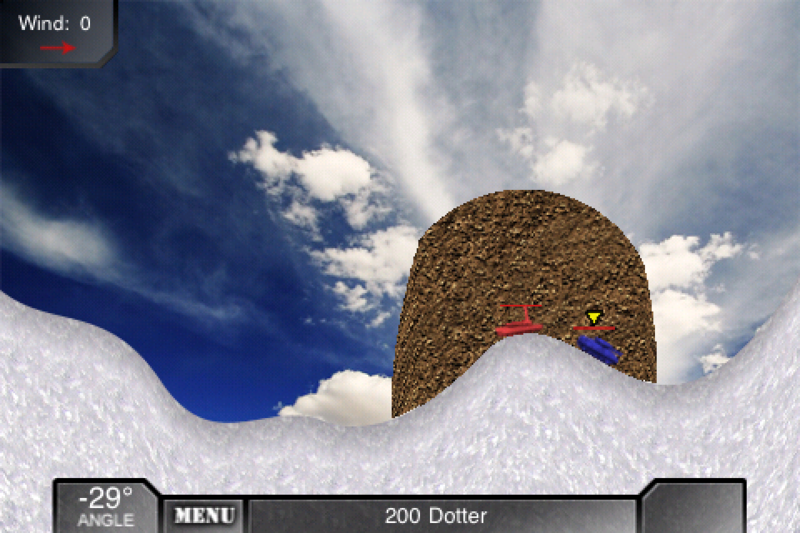 Oh and the Shiva Bomb is back in (for some reason it was in the iShoot Lite but not in iShoot paid version). 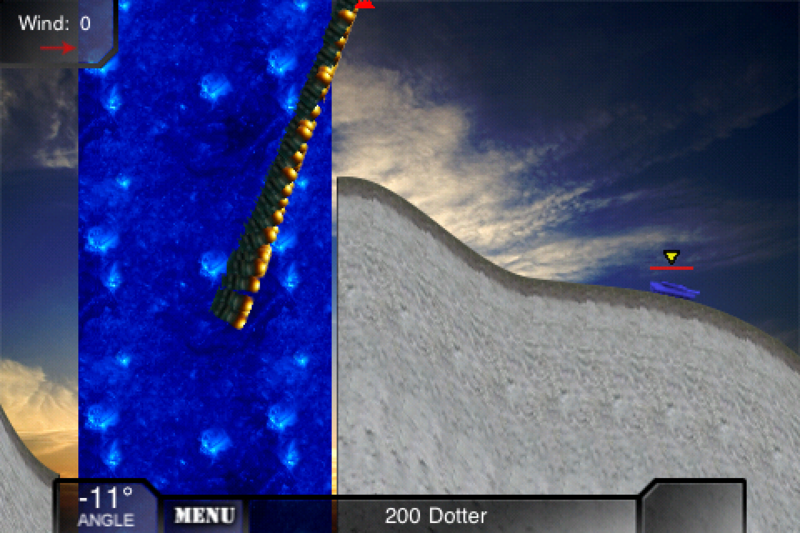 Here are 2 screenshots of iShoot 2.